Is waiting as hard for you as it is for me?!? I am a planner at heart. I love organization. However, God is my Ultimate Day Planner, and I must relinquish all sense of control, in all situations to Him. God asks me to rely upon Him in ALL things, no matter how large or small. I have no control. It is all in His hands, and that's such a good thing! It's easy to get caught up in wanting to plan for Chrissie's surgery. There's so much to prepare for: the care of our 4 children, our ranch, our pets, meals for the kids, Mattie's birthday on the 27th, appointments, packing to stay at the hospital, getting Chrissie's pre-op appointment, etc., etc., etc. 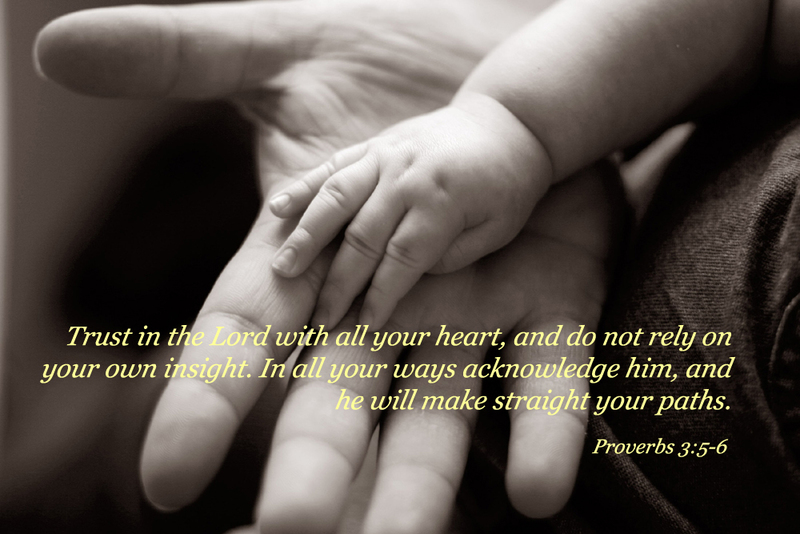 God says in Proverbs 3:5-6, "Trust in the Lord with all your heart and lean not on your own understanding; in ALL your ways, ackknowledge Him, and He will make your paths straight." Lord, help me to live out this verse by Your grace, in all circumstances, ALL of the time.